Actor Paresh Rawal claimed the idea of a surgical strike was proposed by the Army after the 26/11 attack but the Congress government had dismissed the suggestion. 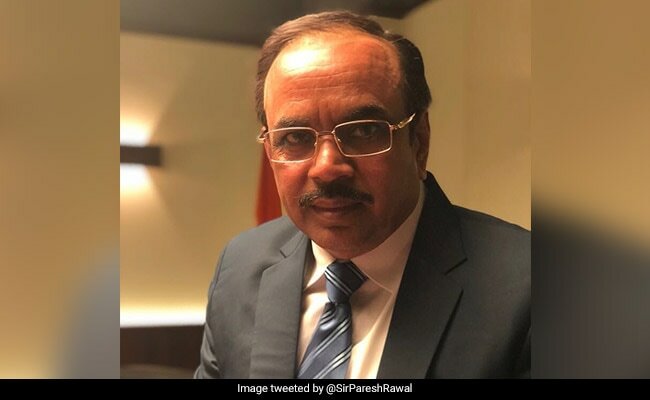 Actor Paresh Rawal is BJP's Member of Parliament in the Lok Sabha. Actor Paresh Rawal, who stars in the upcoming thriller "Uri: The Surgical Strike", claimed that the Congress rejected the idea of surgical strikes after the 26/11 Mumbai terror attack. "The idea of a surgical strike was proposed by the Army after the 26/11 attack but the Congress government had dismissed the suggestion," the actor said while talking about the plot of the film. "Instead of standing alongside our Army and supporting them, the government said no," he told news agency ANI on Tuesday. Questioning the Congress' intentions behind dismissing suggestion of surgical strike during the 26/11 attack, Mr Rawal said, "People started doubting our Army's strength. Why did the government say no? Was it worried about the vote bank?" He said PM Narendra Modi answered people's doubts about the Indian Army's strength by green-flagging the surgical strike. "All these doubts were answered when Narendra Modi took a stand and said that a surgical strike will take place. It was only a matter of political will. We had a strong Army which was ready and prepared for the attack," said the veteran actor. "It was important to show Pakistan that we know how to answer them and that we surely have the strength to," he said. Mr Rawal said that "Uri: The Surgical Strike" is a political thriller and is about the preparation that goes into such an attack. "You can't just go without proper planning, a lot of thought, planning plotting and preparation goes into a surgical strike," he said. The actor is BJP's Member of Parliament in the Lok Sabha and has been a staunch supporter of Prime Minister Narendra Modi. When asked who will win the upcoming Lok Sabha elections, Mr Rawal said, "BJP will win. And I can say it with conviction." He said that people know that PM Modi is working selflessly for hours and hours. "So it is a choice. Do you want a man who is working with honesty or do you want the people who looted the country," Mr Rawal said. Directed by Aditya Dhar, "Uri: The Surgical Strike" is based on the Indian army's surgical strikes in Pakistan-occupied Kashmir (PoK) following the attacks in Jammu and Kashmir's Uri town on September 29, 2016. The movie also features Vicky Kaushal, Yami Gautam, Kirti Kulhari and Mohit Raina. The film will hit the theatres on January 11.